A1PCCleaner is the PUP that uses misleading techniques to prevent removal. Use Reimage to locate malicious components and get rid of them faster than with uninstall instructions. A full system scan blocks virus reappearance and prevents traffic to malicious domains. How can A1PCCleaner hijack my computer? How to remove A1PCCleaner virus? 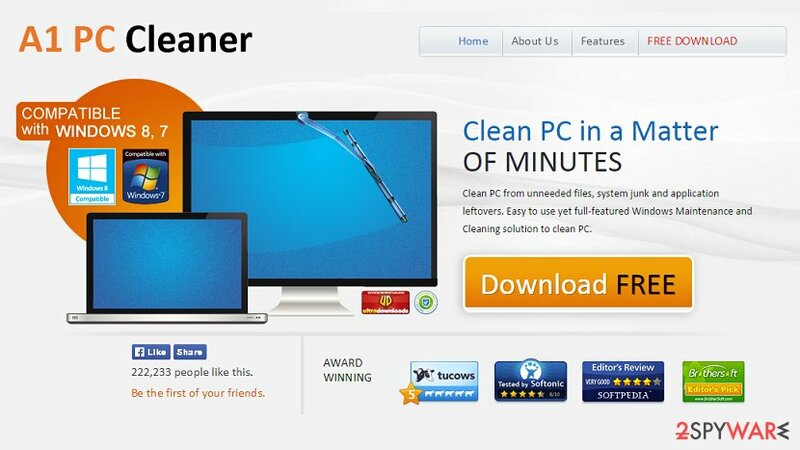 A1PCCleaner by A1 PC Cleaner is a tool that raises lots of suspicions. It’s described as an optimization tool that is supposed to enhance PC’s performance, protect user’s privacy, fix registry errors, clean outdated files, remove junk and so on. Unfortunately, most of the users rush to remove this program once they notice its presence on computers. That’s because it initiates unwanted operations on their computers and may try to trick them into buying the license of this app. 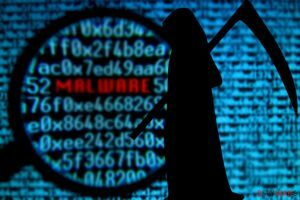 In fact, security experts claim that A1PCCleaner virus is a potentially unwanted program (PUP) or even a scareware. First of all, it’s very important to mention that it may infiltrate computers along with other freewares. Once installed, it may corrupt various settings on your computer, run several processes, use your PC’s resources and diminish its performance. 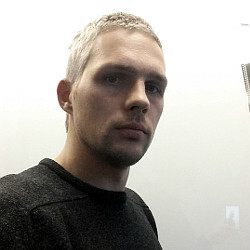 It addition to that, it may install a file in Windows startup and create a scheduled task in order to launch its scanners every time you turn on the computer. Consequently, you may continuously see how A1PCCleaner virus loads it scanners and how it’s supposedly scanning all files on your computer. After that, it may deliver a long list of various computer infections, outdated registries, corrupted files and offer you to fix them. However, as soon as you click ‘Fix now’, ‘Fix errors’, and similar buttons, you will be immediately redirected to a purchase website and asked to buy the license. We highly recommend you NOT to buy this licensed because it’s useless, to say the least. Be aware that A1PCCleaner virus delivers predetermined scan results, which inform about various error, suspicious registries, and similar things in order make you pay money for the useless program. By the way, you should consider the fact that buying the license may cause you serious issues because you may disclose your banking information to online scammers. Therefore, we highly recommend you to remove A1PCCleaner virus using Reimage and this way ensure your PC’s security. You need to fix your PC problem immediately. Choose ‘A1PCCleaner’ and select the ‘Uninstall/Change’ option. This entry was posted on 2015-03-23 at 02:36 and is filed under System tools, Viruses. You can quickly scan the QR code with your mobile device and have A1PCCleaner manual removal instructions right in your pocket. How did you remove A1PCCleaner?